All Rheumatoid Arthritis disease is not the same. What are the some typical courses of RA? I had hoped that the courses would be appetizer, salad, entrée, and desert. 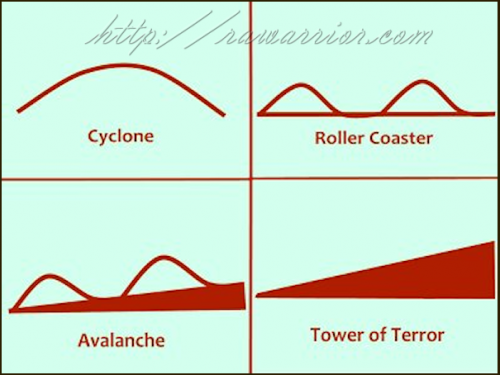 But turns out they’re not… The names which I made up for them are Cyclone, Roller Coaster, Avalanche, and Tower of Terror. Maybe I live too close to Disney. Historically speaking, there are four general courses which Rheumatoid Arthritis can take. These are the general patterns which have been observed over many decades. They describe the course that the disease will take. In spite of individual differences, patients generally fit into one of these categories. On the day that you get your RA diagnosis, no one sends you an IM (instant message) to tell you which course the disease will choose. However, if you know about the typical patterns, you can probably identify yours within a few years. Arming yourself with information is always a good thing. The first course of Rheumatoid Arthritis is pretty simple to understand. You get symptoms of Rheumatoid Arthritis and then the RA goes away within six months. The symptoms of pain and stiffness of RA do not lead to permanent damage. Neither the cause of the disease nor its disappearance can be fully explained medically. Only 5 to 10% of all those diagnosed with a type of Rheumatoid Arthritis are in this category. The second course of Rheumatoid Arthritis is more common – typical of about 15% of RA patients. The symptoms of RA come and go periodically. The peaks are commonly called flares. Periods between the flares (called remissions) seem more like life before RA. It becomes possible to exercise or do things that people who are in the midst of Rheumatoid Arthritis anguish cannot do. However, it is completely impossible to predict when the RA symptoms will return. The third course of Rheumatoid Arthritis is the most common. This pattern is very similar to pattern number 2. The same pattern is seen with flares and remissions alternating. The difference is the damage which occurs because there is always some inflammation, even during the lulls. And the flares tend to worsen over the years. About 75-80% of RA-ers will never have a complete remission. The third and fourth groups make up that number. Group three is the larger one. Finally, the fourth course of Rheumatoid Arthritis is one in which there are not remissions. The disease only progresses. There is only flare. Or maybe there are no flares. Depends upon your viewpoint, I guess. Avalanche…that describe my condition! I guess I'm in the majority! Wishing for Cyclone but glad not Tower of Terror. Cute names! I am definitely an avalanche girl myself. Tower of Terror here. However I am still singing "whatever will be will be" as I climb up the many,many long steps. I can even make fun and laugh about the journey. WoW!! I can identify with this, I am in between 3 and 4, with more and more complications. I am tough though~ I hope it is okay that I print this out, it will help me a great deal with my doctors. No, I didn’t mean stages. I haven’t found very many who use the word stages with RA. I meant different patterns of the disease. Some have RA one way and it follows a certain pattern. Some have it a different way. There are probably many more than 4 actually, but this was a basic outline that I found in several diff . books. I hope that helps. Many patient have neck involvement – actually its about 87% from what I’ve read. 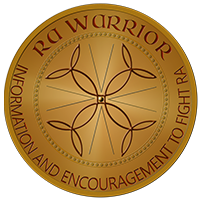 There are a couple of articles here about RA and the spine – you can find them under the Tags dropdown (over on the right) – click on the arrow & then click on RA Spine. Flares? Well, it all depends on 2 things: your RA and how you respond to treatment. If your RA is moderate for example, and you have a 20% improvement from treatment, then you may still have flares that are mild, I guess? & less often? Everyone is not the same. Mild RA that achieves a 50% improvement from treatment would leave a patient with very few flares or very mild ones compared to others. Some patients have no real flares on treatment – they call that “clinical remission”- it is pretty rare. I hope this helps some. There are also some posts on Remission listed in the Tags dropdown. One more thing. It has been 2 1/2 months – within a few more weeks, if you still have no improvement, don’t be surprised if the doc wants to add another medicine. Have you had no improvement at all? Erinne, it sounds like a really hard time. You will get thru this somehow. My oldest daughter is away at college too and it makes me very sad because we are close. And I get it about the cats! I lost my dog a couple yrs ago and I’ve not gotten another one because I cannot take care of one. It was so hard at the end, nagging the kids & begging them to help me with him – old dogs need a lot of care. What have you tried for your nausea? There are a lot of things to try both OTC & prescription that can help it. I hope you can find something that works. Erinne, your story is almost identical to mine and also what I’m going through. Unreal!! The nile! (deniel). It hit me so hard and fast, I truly was in deniel. My RA hit like a title wave and within two months we had bought a lift chair for me. Every bone and muscle in my body burned and I was puffed up like a marshmellow. 45 years old, healthy and active, gone! The only drug has been prednisone. I started with 30 ml a day but was out of the chair in two days. My RA doctor wants me to start methotrexate soon and get off the pred. I know that I am only treating my side effect for now. If I miss one day of meds, I am back in the chair. RA is evil!! Dale, you are right it’s evil. It hit me that fast & hard also, so I know what you mean. Methotrexate is considered more of a long term disease treatment so I’m not surprised your doc is leading you that way. Have you looked through the Methotrexate pages on this site? There is a link on the menu. and if you do not care to pursue my case, i think you are making a big mistake.” It was then that he said ” and I expect you to want me to write a RX for narcotics?” “Well, Dr. Fancypants~no~clue~one~foot~in~grave, I am NOT A STREET PERSON. 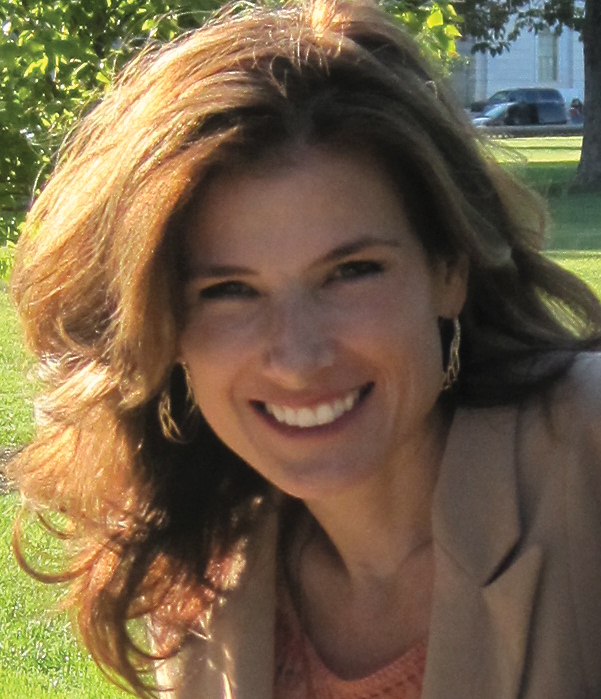 I AM A MOTHER OF TWO YOUNG DAUGHTERS, A HUSBAND, AND ALL I WANT IS QUALITY OF LIFE. WITHOUT THAT….THERE IS NO MORE FOR ME.” I took my daughter’s hand, gathered my papers and left his lily pond, whilst he snapped at flies. I went to front desk, told receptionist that I felt he was a very rude man and I’m guessing he does not want anymore patients since he is retiring soon. Wow! Ms. Stepford Receptionist was caught off guard, saying that the Dr. had more self respect than to appear as such. I told her I was not interested in being offended again. end of story. I continue to rec’v a bill for all blood work, it gets placed into “File B” ie, for BullFrog. we just found out my husband has RA his mom has it, but was never diag. her hands are drawn. In June he underwent a colon section. Anyways, we can’t get into the specialist till May, in the meantime we’ll continue to see his general practioner, who is wonderful. Right now we don’t know where to turn what to do, all this is so overwhelming. My dad had this and fought it for over 20 yrs. back before all the meds. he sucumbed to the disease in 04. I know so much progress has been made and a normal life can be led, but I’m terrified, I can’t stop crying, and feel I have no one to talk to, and don’t know which way to turn. Wow, Kathy. 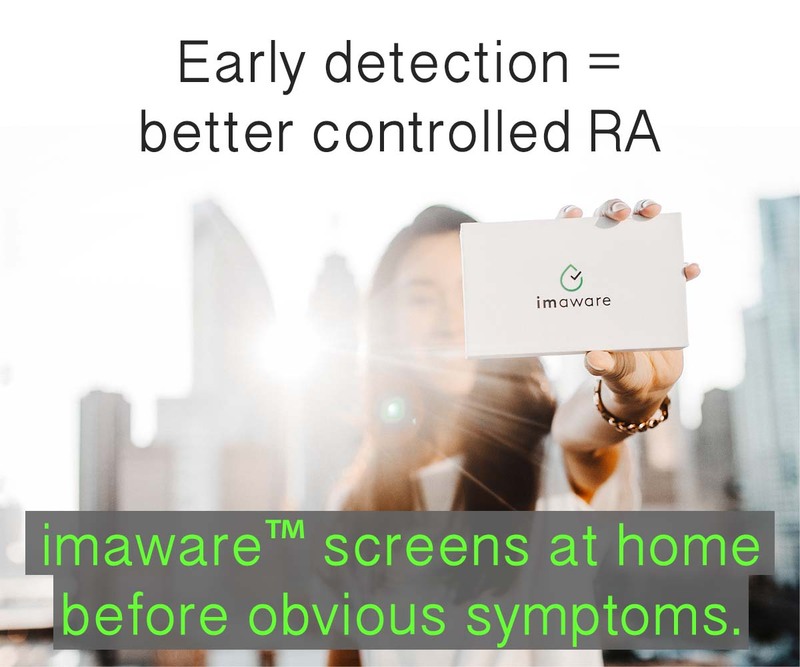 Your family has had it’s share of trouble from RA. I’m so sorry for you. I hope the GP will know how to get your husband as comfortable as possible while he waits – that is too long. If the rheum doctor has a waiting list, maybe you can check in with them periodically to see if you can get in sooner. I just wanted to say that I have been reading your blog and the comments for 2 days straight– can’t “put it down” (so to speak!). Just got diagnosed in Oct after trying to get somebody to test me for 7 years! Thank you for this! Though my husband has been great,( after watching me cry for 7 years, at least we have an answer!) I have friends who are like: “Oh, arthritis, my Mom has that too. Do you want to go see a movie?” People don’t get it that it hurts me to sit in a movie seat for 2 hours, etc. etc. etc. I thought that now that I had validation, an actual DISEASE, they would understand why I haven’t been myself these past years, but mostly not…oh well, at least now I have you all! Thanks again! Thanks, Patty. I’m so glad you hear you are getting answers & your husband has been supportive. No, I hope you can also feel better soon! A friend passed on your site address when he saw it and I’m so grateful! I sometime wonder if its these “different courses of RA” that creates a lot of the confusion over what RA is. When someone has the the chicken pox – EVERYONE gets this blister rash that itches like crazy, etc. It’s those symptoms that allows the diagnosis of the virus. For RA, some cases, Dr’s can’t agree on a diagnosis of RA because of the lack of “textbook” symptoms. Then even once you have been diagnosed, courses of treatment are different depending on Dr. Sometimes that treatment is deemed successful with disease in remission even with visible swelling of joints. In my own case, different symptoms appear on different days. Severity of these symptoms can be effected by humidity. I don’t know if that is common for everyone, but both winter and summer humidity extremes cause greater severity of symptoms. I guess my point is, I believe it is these differences or courses that seem to cause a lot of the lack of understanding of our disease. That “you don’t look sick” mentality is there because of the question you are asking here – what is RA supposed to look like? Hi, I am 46 and was diagnosed in May with moderate to severe RA. I chanced upon this website as I was looking up the stages of grief. I started simponi and methotrexate in June and noticed an immediate difference throughout most of my body. In Mid-July, my shoulder and neck began to bother me. I suspect part of the pain is stress- related and the other part is RA. I haven’t quite figured out which of the four RA types I might be, despite having had the symptoms for a while. I’ m still in what might be called a “pity party”, but just want to get out of this state of mind. I mourn, I cry, worry. I don’t care what I look like, I just want to continue to work and enjoy my family. I want to have hope and do sometimes, but am filled with questions and self doubt. I don’t want sympathy from others, but they don’t seem to understand the condition assuming I’m just exaggerating or meek. My family has been so supportive, but friends just dont’t get it. I want acceptance. I want concern….. I don’t want pity, nor do I want attention. I just want to feel that they are there for me – not that I would ever put anyone in such a position as to become a pain or a burden. Well said. I agree that this is what is missing for RA – a little understanding of what we deal with. Kelly – I would like to thank you again. I went through 8-10 books on autoimmune and RA after I was first diagnosed and although I had a sense that RA was different for everyone (DUH,right?) nothing really explained it in one concise graphic manner as you have here. Now I will quit comparing myself to the other person in my office with RA that doesn’t seem to have flares and pain and has motored along on 15 mg of MXT for 4 years. Thanks! It’s the tower for me, just not sure how tall the tower is or how much the meds are doing to mask / control it. I had an episode with tendonitis in my hands in 1997, after moving furniture. It gradually subsided over a year and a half. Then I had a period of extreme fatigue in 1998, right after I finished remodeling a house. It resolved after about 6 months. Soon after, I had extreme pain in both feet, the balls of them, and was diagnosed with neuromas in both of them by a quite arrogant podiatrist I never liked. After a year of NSAIDS, I agreed to surgeries – he did one on my right foot and I opted out of the second, as nothing changed. He told me the a new neuroma was created by the surgery. After another year or so, the pain left, and I assumed I learned to walk differently. Fast forward to 2004, when I developed a chronic cough after a flu – 7 years later I finally was diagnosed correctly with a hiatal hernia that caused me to breathe acid for all those years. Throat damage, vocal cords burned, and my lungs took a beating. I had the surgery mid-Jan. of this year, and was so excited about getting my life back and healing up from the GERD-induced asthma. In a year my lungs and throat should heal, though I do have precancerous cells in my esophagous to be followed for a few years. A few weeks out from the surgery, migratory arthritis struck, moving all over my body. It peaked the first week of March when I could not walk for 2 days. I went to several doctors, had foot x-rays, a DEXA scan (and a mammagram while there), some blood work, and managed to get in to see a very nice rheumatologist who lives next to a friend. Bottom line, my RF was 372 and the anti-CCP was greater than 250, poor prognosis. I start Paquenil tomorrow. In the meanwhile, I have exposure to TB in my past, a spot just found in my breast, lungs that need to heal up, and precancerous cells in my throat. I have severe osteopenia and now a borderline Hep B test. UGH! Seems I am cornered with limited options. What gives me hope is that perhaps I’ve had this a while and went into a 12 year remission – hopefully, I will be able to do so again. I think I got HEP B in the hospital as I noticed some symptoms afterwards, but my gut was also recovering from Nissen Fundolplication and I assumed that was the deal. I am actually handling this better than I expected, but then, my daughter is expecting a baby and it is spring, and I am still on my feet. My awesome chiropractors practice a bit outside the realms of conventional medicine, and physically moved my foot bones back into normal position. They also worked to get my shoulder back into place one day. My rheumatologist was quite surprised that my foot swelling was reduced, and I credit their nontraditional physical manipulations with being able to get around now. In fact, I am heading to the park for my evening walk with my wee dog in a minute. Of course, the Prednisone is helping too – I’m now on 10 mg. daily. Glad to have found the site, and hoping to be in the first group, or the second. Already, my life has changed completely due to this, and my heart is wide open to the plight of everyone with this disease. Let’s work to find effective, safer treatments and a cure! Welcome, Linda. Good luck with the Plaquenil today. I have the same hope for all of us and we are working every day for just what you said!! Im 20 and just got diagnosed with RA. Im not the tower of terror yet but I’m really scared of the reality of this disease and what I may have to face in the future. Right now its my fingers and feet that hurt. Its so frustrating not to know why this is happening. I am tower of terror. For a long time I did not realize that because nobody informed me that the rampant tendinitis and bursitis were RA symptoms. Very few of my joints are affected but I have carpal tunnel, tarsal tunnel in my feet, plantar fascitis, and tendinitis in my hands. The major joints that are affected are my back. I did start with a bang as other commenters have stated but that was likely due to stress of a pregnancy loss and the flare that occurs after delivery. Looking back I had the signs of RA before I got pregnant but since I got pregnant shortly after the symptoms started didn’t think much of it. Didn’t know about pregnancy remission. So initially I experienced a lot of relief but its been slowly getting worse over the years. Some days are better than others but I never have a pain free day. Grateful for information about the Monster in my life (RA). Nice to see some order put into the disease which controls me. I have been locked in the “Tower of Terror” for the past 11 years. Not fun. But incredible Rheumatologist has brought me back from the brink and this week I am actually trying to do some gardening!!! Humira, Methotrexate and Hydroxychloroquine (with low dose Prednisone) has me out of bed and in toloerable pain level. Guess I am not alone…Remember to watch funny movies…they REALLY help! I can’t decide if that’s comforting or depressing – I definitely fall into the last group. Tower of Terror. Eep. I remember going on that ride down in Disney as a child. Didn’t hurt nearly this much, though. I have read, with great interest, your stories and thought I would share mine in case it would be helpful to someone. I am sero negative, and have been diagnosed with RA and fibromyalgia for the past 5 years though symptoms were there 10 years before that. I have not responded adequately to Plaquinil, Methotrexate, Enbrel, Orencia, and the latest, Xeljanz. Additionally, I take drugs for fibro, GERD, hypercholesterolemia, asthma, allergies and Vit. D deficiency. For pain, 600mg Ibuprofen twice a day and a Butran 10meq/hr patch. Norco for breakthrough pain. Also have sleep apnea, use a CPAP, and severe insomnia for which NO meds have been effective. I feel like a dishrag most of the time and hurt so bad I walk with a cane at times. 1 year ago, I technically became disabled and lost my job. Thank goodness I have long term disability insurance otherwise I think I would just have ended it all. At 55, I have only been married 8 yrs to my current husband who is 10 yrs my senior. He doesn’t really “get” this disease and quietly resents my inability to continue to contribute to our life. I was the primary earner. And now…it is a good day if I get the dishes in the dishwasher. 2 yrs ago, my beloved oldest daughter died from cancer at 32, leaving behind a 5 yr old son. My other daughter gave birth to a severely handicapped little girl, 2 months after the oldest died. My youngest son is in prison and my oldest son, at 37, is in the military. None of my surviving children live in my state. My furry children, 3 dachshunds, and my grandchildren are the lights of my life! If not for them, there would be no reason to continue. The pain and fatigue are simply too profound. So, how to keep the stiff upper lip? Growing my relationship with my Father in heaven, looking for the beauty in all things, appreciating the small “stuff” in life… And NOT giving up! God Bless You All, and me too, as we live to get some semblance of our lives back. 3. Praying it will stop there. Thank you so much for all the information. Years ago, I was diagnosed as having palindromic arthritis, had no clue what the rheumatologist meant, didn’t bother to look it up. At the same time of the diagnosis, I became pregnant and stopped taking medication. Call it ignorance. The symptoms have progressed and are now more painful but come and go in bigger waves. It’s time to go back to the rheumatologist. I have other health issues so this has not been my priority unfortunately. ? I had some bilateral pain in my fingers and heels over the past year so my army doc suggested I get a blood test for RA. A phone call confirmed that I have RA and I really don’t like all I’ve been reading. I’ve yet to meet with my rheumatologist. I’ve had osteoarthritis in my back for a decade with a few surgeries but now wonder if RA may be contributing to the constant pain and stiffness in my lower back and down my legs. I think im am a REVERSE Tower of Terror. It exploded out pretty much overnight after I miscarried my 3rd child – 18 months on im in remission. Its been a gradual improvement over time in a straight line.